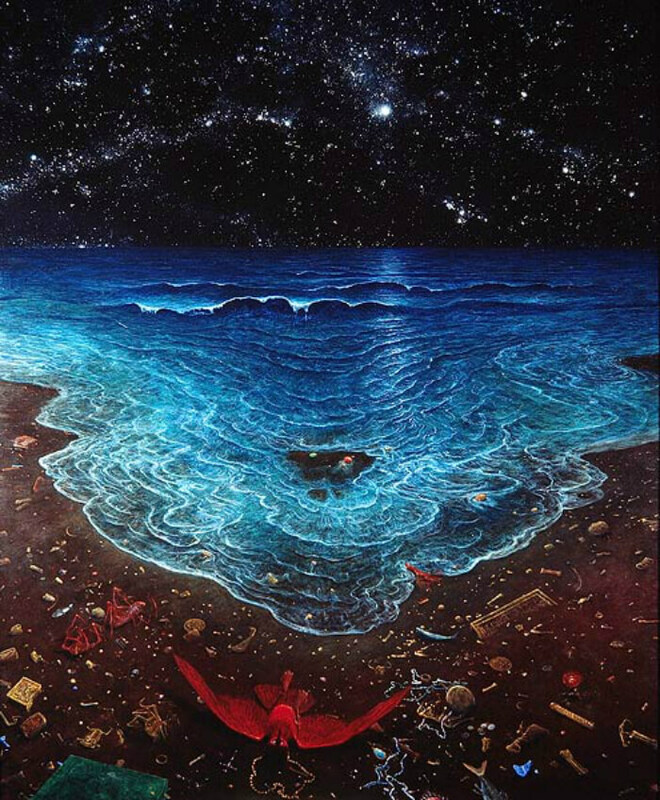 According to some ancient wisdom interpretations Heaven and Hell are just void concepts, free of meaning until met by human interpretation. 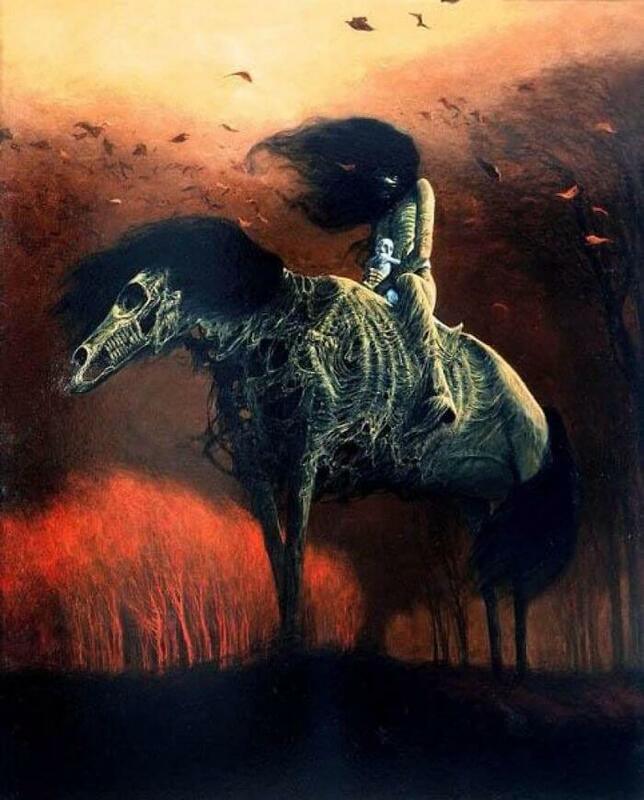 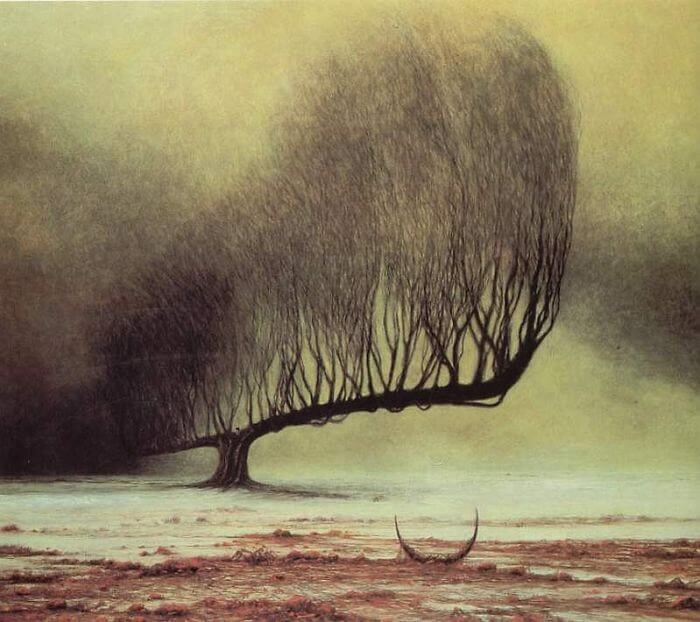 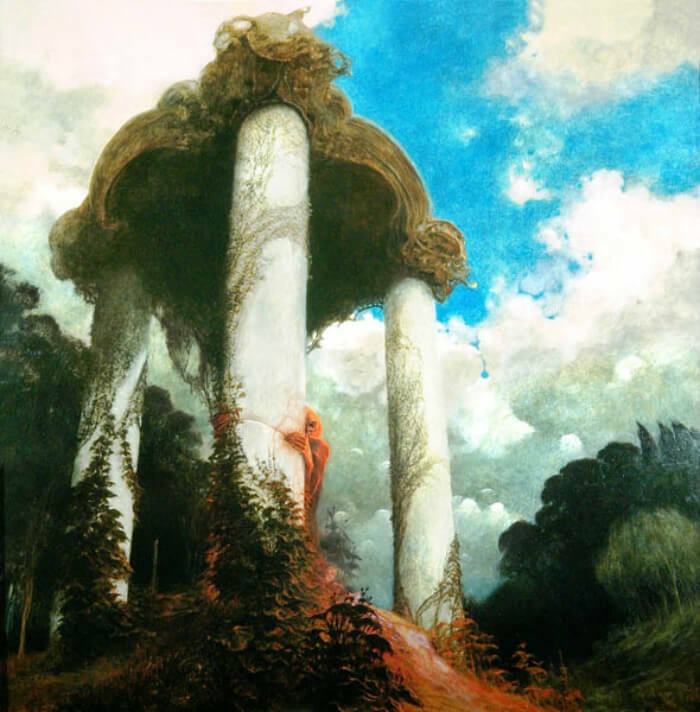 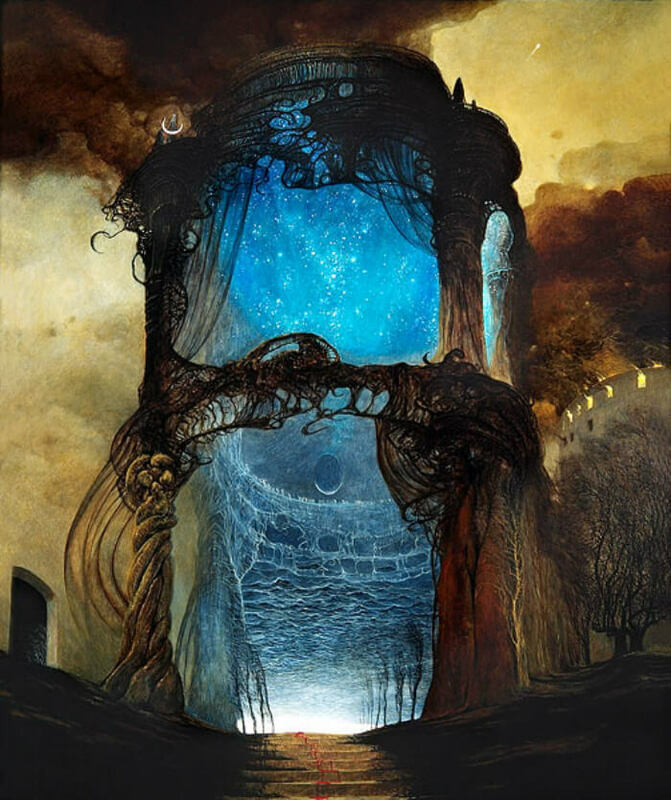 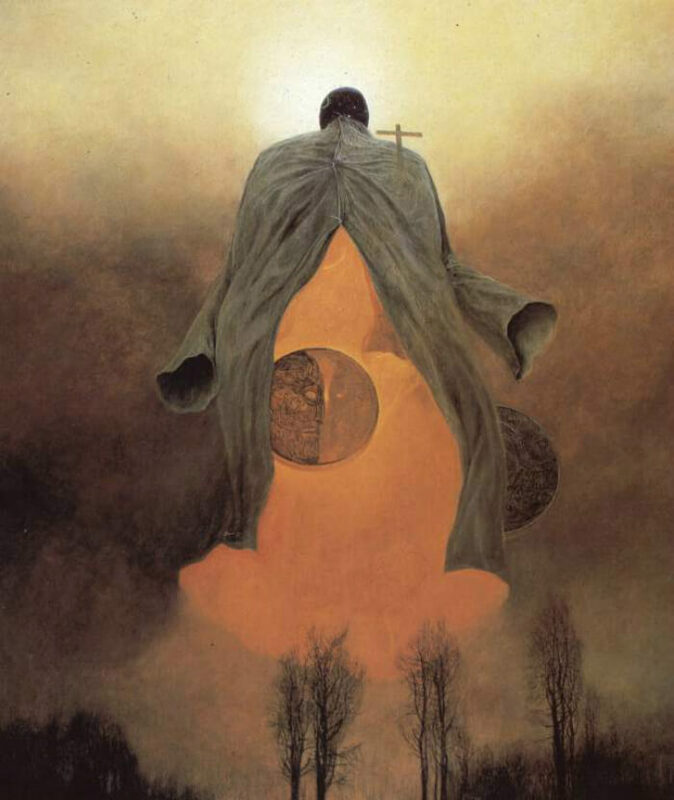 I tried to apply this idea when looking at the dreamworks of Polish painter Zdzisław Beksiński (*1929 – †2005). 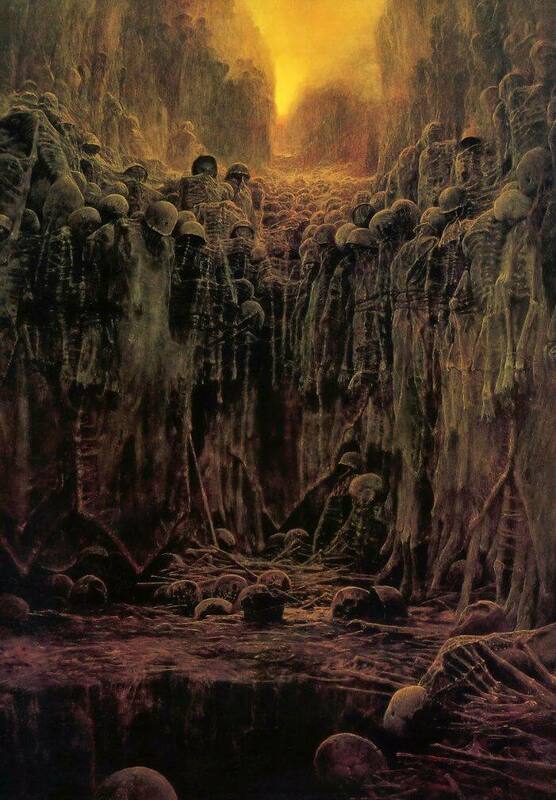 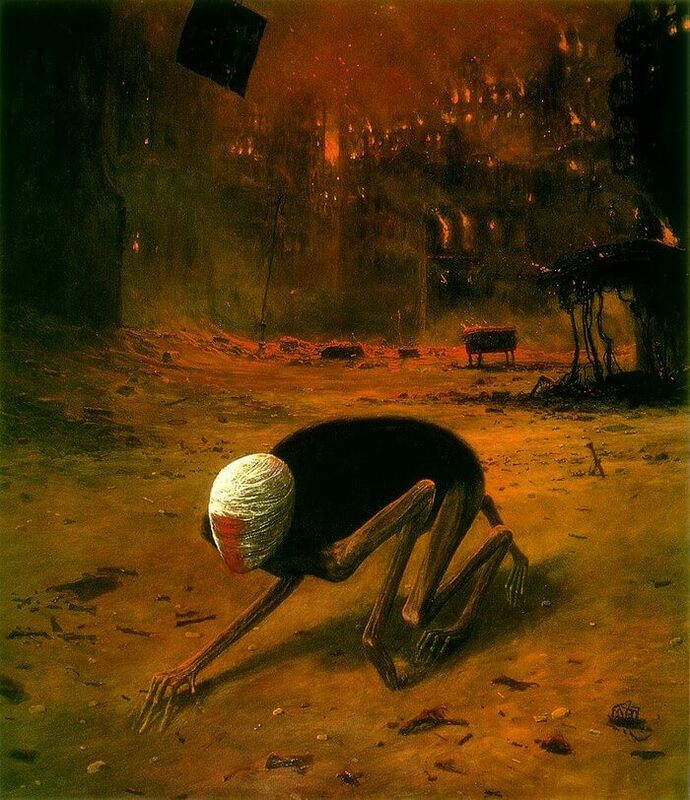 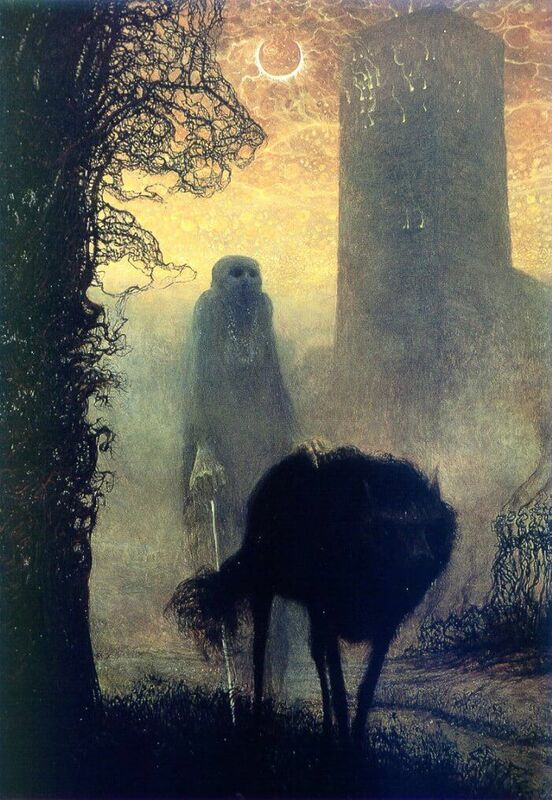 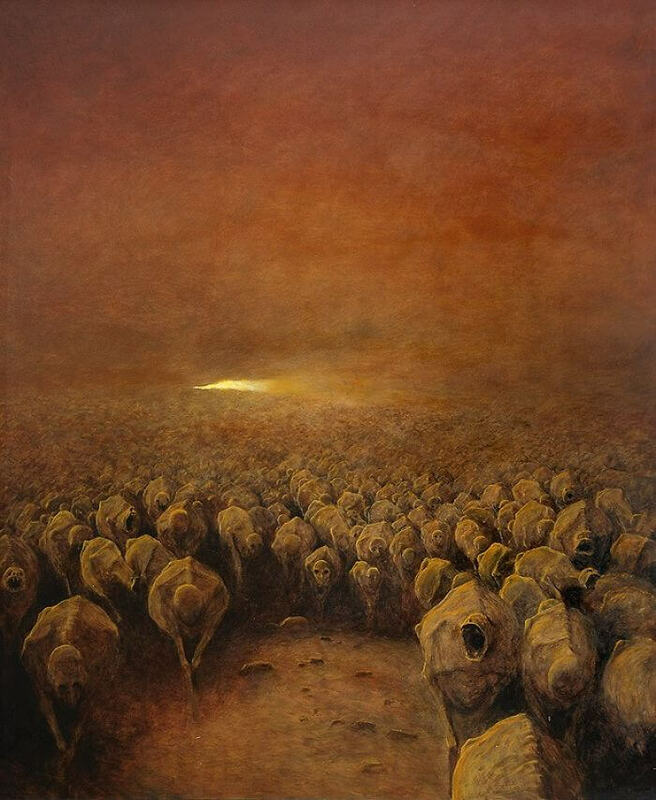 Not an easy task, as Beksiński portrayed mostly what many would describe as “grim“, “haunting“, “nightmarish” or “apocalyptic“. 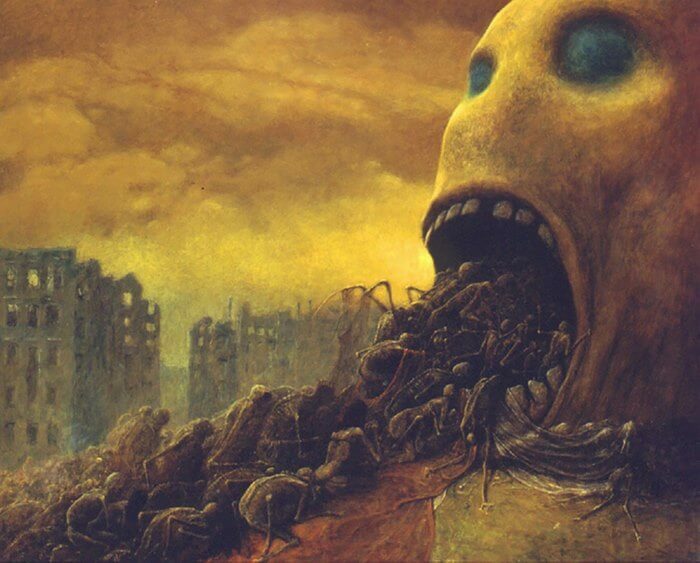 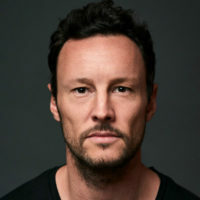 Interestingly enough, this stands in contrast to the artist’s own perception who liked to see his artworks as “rather optimistic or even humorous”. 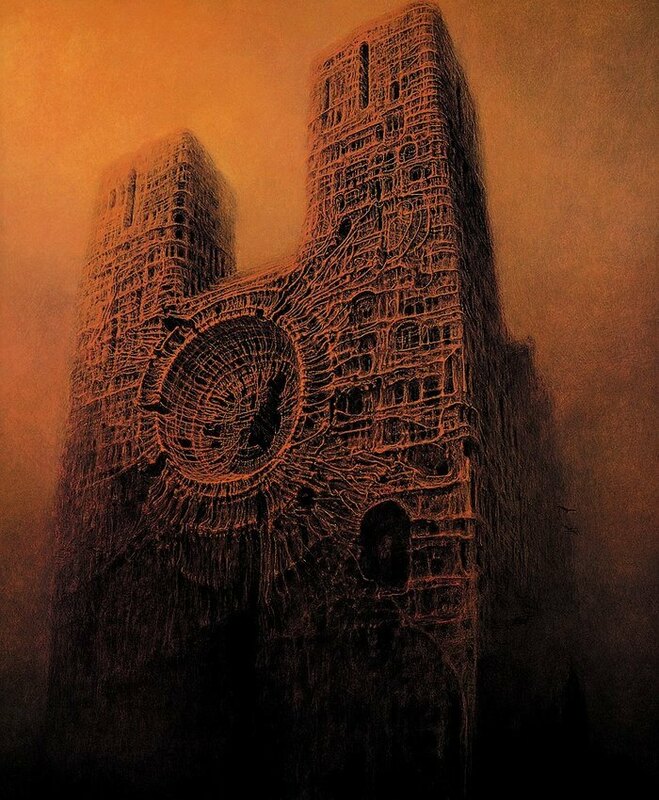 Looking at Beksiński’s art was immediately evocative of two movies for me—the visionary power of Pan’s Labyrinth (2006) and The Cell (2000). 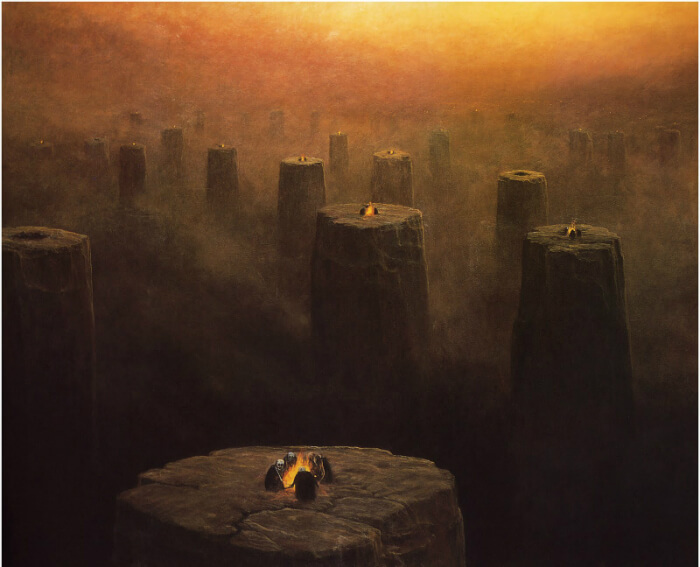 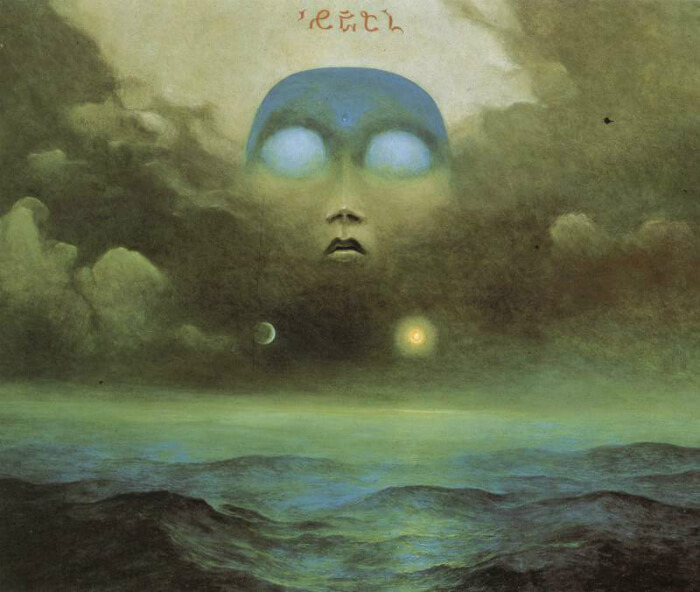 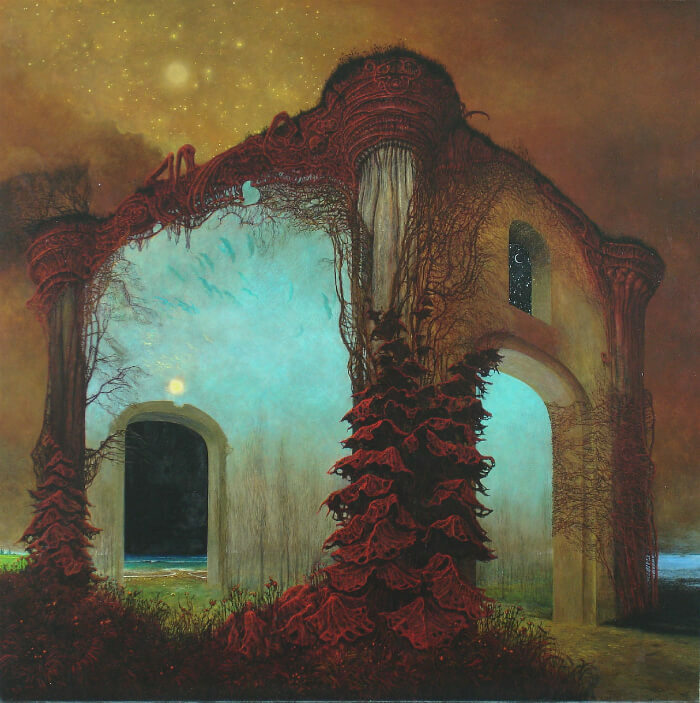 It is unknown which abyss was the source of the visions that Beksiński summoned in his oil paintings. 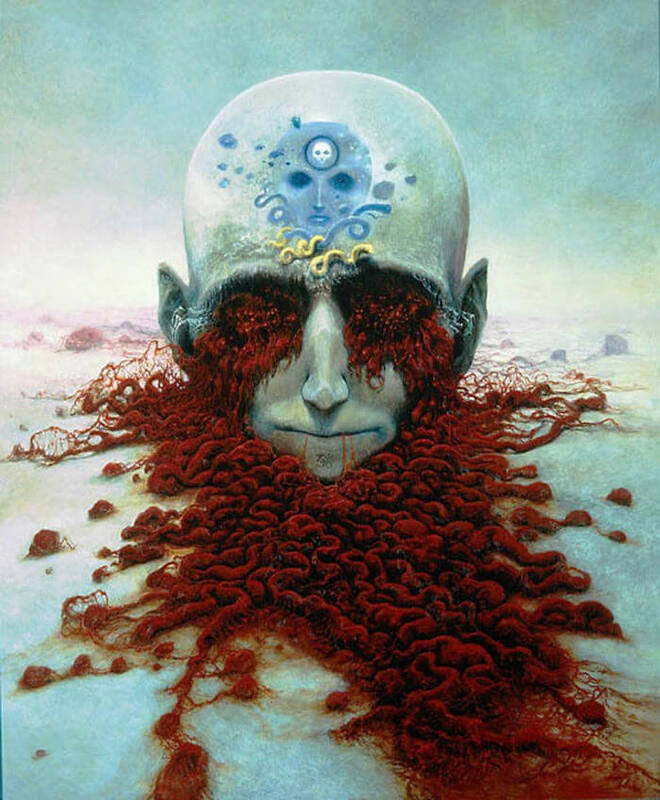 When asked for the meaning of his work, he liked to avoid a deeper analysis by saying “I cannot conceive of a sensible statement on painting” (source: Wikipedia). 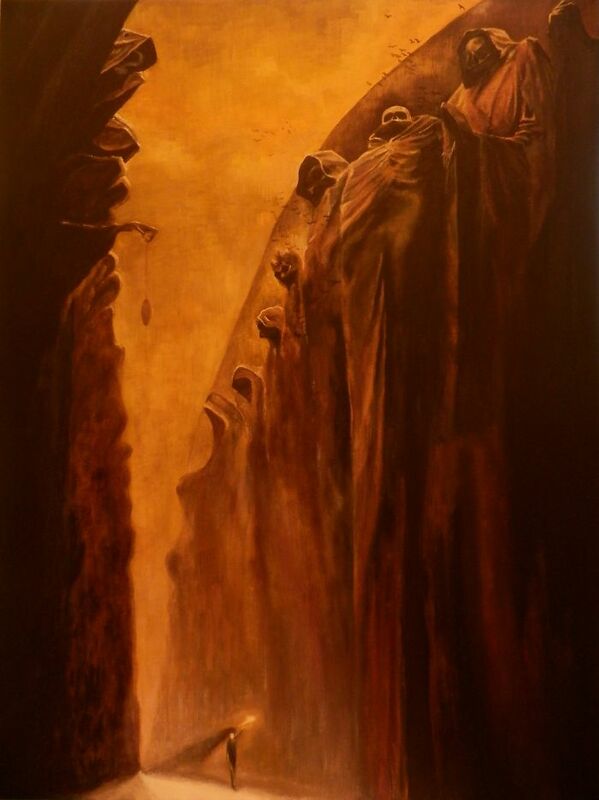 It doesn’t make his art less impressive.